Warning: The ending of this post will get technical in nature. Very technical…..your eyes are not allowed to glaze over and you WILL have a quiz on Monday morning. Oh, and would you like some wings with your wings? One of my favorite community involvement opportunities my company participates in is Meals on Wheels. I have recently called for medical oxygen from my doctor after viewing a tweet on my timeline this afternoon. It came from Mario Andretti no less and shows just what right stuff he is made of. I had no idea he would be willing to share his time doing this but then again, Mario is THE ambassador of open wheel racing and in any situation, one’s true color always shines through! What a nice, feel good way to start this week’s blog off; with good people doing great things for those in need. Interestingly enough, a few weeks back I posted an article about raising cancer awareness and the search for the cure. Needless to say, my humble blog exploded with over 250 hits the first day. Now, I know that I am not a true word smith, nor am I about to quit my day job to become the latest motorsport hack. I am too old for something like that so I will stick to my little corner of 16th and Georgetown and continue to write about the love of my life which is Indy Car and IMS. But, little did I know that someone somewhere near Oswego, New York would see the story and engage me in a side bar. The folks over at Wing Side Up (https://wingsideup.wordpress.com/ ) tipped a hat to my posting and I became aware of who they are up there in Upstate NY. A gent named Bob Gangwer runs a WordPress site dedicated to super modified racing and through a series of engagements I asked a technical question via a submission on their site. The question had to do with set up and shocks, along with how to generate mechanical grip. While some consider super modifieds unrelated to Indy car, one cannot call themselves a race fan if they place themselves in a niche. Besides, set ups try to accomplish the same thing across all platforms; get some grip, make the car turn and neutralize entry and exit forces in the turns. A wise Wally Dallenbach once said, “if the car is tight (push) you hit the wall with the front of the car; if the car is loose, you hit the wall with the back of the car”. This led me to consider the epiphany of racing as getting through a corner quickly, no matter the vehicle. I sent a question into the “wailbag” on the blog Wing Side Up and posed the following question: Besides shocks, what is the next adjustment on a car that gives big bang for the buck? Thinking how to generate better mechanical grip. Bob Gangwer sent the question on to their technical guru, Mr. Bob Bogwicz of Group R Motorsports and it was on like Donkey Kong. On March 5th, Mr. Bogwicz replied to my question with a primer on shocks and grip. In order to do it justice, Bob has graciously allowed me to quote the reply en toto for this week’s installment of Wide Open Wheel. So, without too much further comment, I submit the good stuff from Mr. Bogwicz. Thanks for your question! Mechanical grip is achieved differently with different types of racecars. Since my experience has been driving a supermodifed at Oswego Speedway, I can talk about how we do it but most of the concepts are the same. You mentioned shocks in your email. I would like to give a quick primer on shocks to put all this in perspective. First, shocks operate in two modes: low speed and high speed with “speed” being the speed of the shaft as it moves in and out of the shock body. Bumps on the track cause high shaft speeds. High speed mode keeps the tire in contact with the track when it encounters a bump. This is the dampening effect that the shock provides (and remember, only the good old USA calls them “shocks”. The remainder of the civilized world calls them “dampers” for the reason). This is the sole purpose of a shock on a street vehicle. The second mode of operation is low shaft speed. This is where the compression and rebound adjustments of a shock come into play. Slow shaft speeds are encountered during weight transfer, such as turning into or throttling out of a corner. With the compression and rebound adjustments, one can have control over weight transfer. Keep in mind that weight transfer is inevitable (it’s physics, after all!). Low speed adjustments just slow down the weight transfer for a particular corner of the car in a controllable manner. The reason I am talking about shocks is because it is used to “fine tune” the handling of a racecar. Low speed operation of a shock doesn’t necessarily increase mechanical grip but it will fine tune the “grip relationship” of the four tires at small portion of the racetrack (i.e., corner entry, mid-corner and corner exit). My opinion is that the expensive shocks that have a rebound adjustment on the shaft body and an external canister that controls compression are not a great bang for the buck. 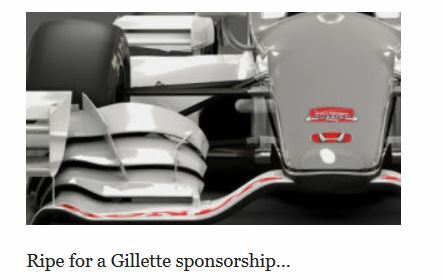 I think they are WAY too expensive for the type of racing we do. Yet, people are sold on them. “Bang for the buck” adjustments, especially with a supermodified, are the torque arm and the front & rear panhard bars. The torque arm is connected to the rear end center section and comes forward to just behind the engine. The forward mounting point of the torque arm, in relationship to the center of gravity of the car will adjust the bite that the LR tire will have when you stomp on the throttle. The NASCAR equivalent of a torque arm would be the two trailing arms that locate the rear end. The panhard bar will adjust the ratio of downward forces to lateral forces on the tires. Raising the panhard bar increases the lateral forces of that axle and cause those tires to slide sideways. Lowering the panhard bar increase the downward force of that axle, creating more mechanical grip. The optimum height of a panhard bar will create a good balance between “grip” and “slide”. Keep in mind, if you lower the panhard bar in the rear, mechanical grip of the rear tires is increased which will tighten the car up. Lowering the panhard bar in the front, the mechanical grip of the front tires is increased which will loosen the car up. I hope this answers your question! 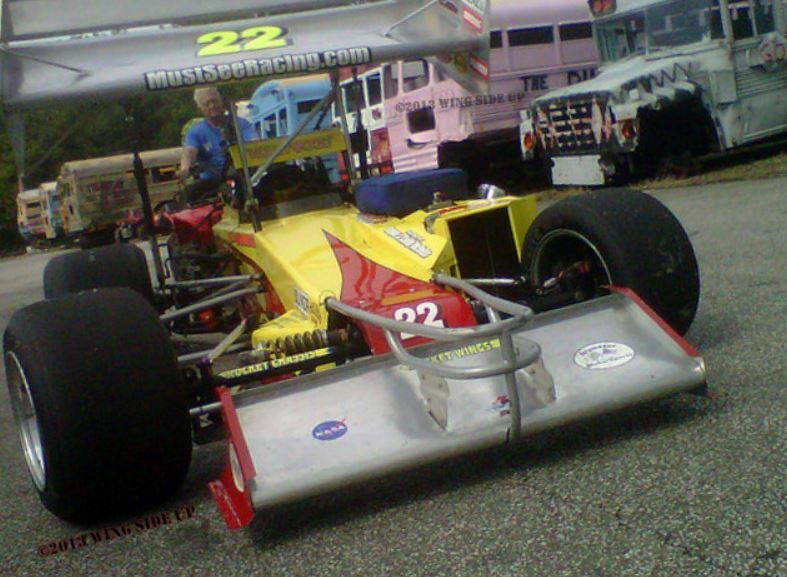 Be sure to look up my supermodified tech article at wingsideup.wordpress.com the second Tuesday of every month and follow me on Twitter: @grouprmtrsports. Shew, now THAT was certainly enlightening, don’t you think? I found it interesting to say the least. At any rate, thanks again as always for stopping by the blog and we will talk to you next time.